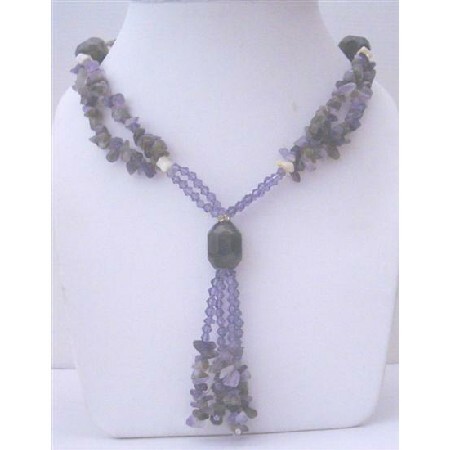 This magnificent necklace features Amethysts Stone Nuggets with simulated Amethyst Crystals accented in long necklace 36 inches this is Striking Stunning. A cluster of iridescent Necklace with Stunning pendant would look pretty with many of dresses. Celebrate your individuality. Variations in the color & pattern of each gold brownd & black beads beauty to the necklace.